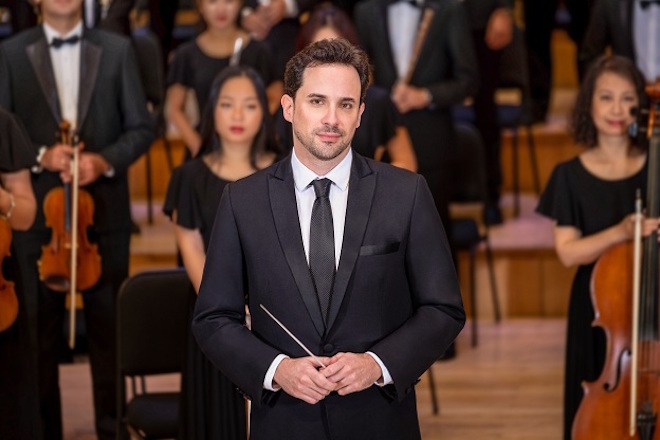 TheLEADERFollowing the meaningful Education Concert Series No.3, music director of Sun Symphony Orchestra (SSO) and conductor Olivier Ochanine shares his new plans of bringing classical music closer to the community, especially the young generation. Sun Symphony Orchestra music director and conductor Olivier Ochanine. Congratulation for the success of the latest Education Concert. What was the reason that inspired you and SSO to develop a series of so much meaningful Education Concerts? Olivier Ochanine: Thank you so much for your kind words. The musicians of the SSO and I are so thankful for the support that we have received. It is especially satisfying to know that our newly created Education Concert Series has been so popular. 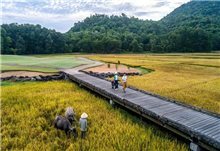 When the orchestra was created, our mission was not only to bring a new standard of music making to Hanoi but also to play a significant role in educating and mentoring the young people of Vietnam. They are the country’s future and we wish to enrich their lives through our passion for music. Can you explain more about the aim and the meaning of this Education Concert series? Olivier Ochanine: The Educational Concert Series is a way for the SSO to reach out and to inspire our audiences. The semi-formal setting allows us to engage the public differently through dialogue and demonstration. By being able to explore the instruments and repertoire of the orchestra in this way, we hope that our audiences will develop a better understanding and appreciation of what we do. What is the criteria for a young musician to be selected to perform in these Education Concerts? Olivier Ochanine: All of our featured young soloists are students at the Vietnam National Academy of Music. They have been chosen because of their skill and talent. Many of them have never had the opportunity to perform in front of an orchestra of a high level such as the SSO. 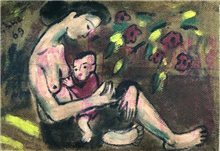 It is a way for us to help to promote Vietnam’s future artists and also to provide them an experience that they can learn from. We also hope for it to inspire young musicians in the audience to strive for excellence and to dream of one day playing with an orchestra such as the SSO. After 3 education concerts, are you impressed by the talent of Vietnamese young musicians? Olivier Ochanine: Musicians develop at their own pace irrespective of where they are from. Obviously, the more a musician is exposed to musicianship at a high level the faster they will progress. The young talent that we have collaborated with so far have shown promise and a willingness to learn. We hope that by sharing with them our knowledge and passion for music we can inspire them to realize their true potential. For a country wherein ‘classical’ music is still a very new concept (at least in the Western sense of the term), it’s nice to see musicians using whatever resources they can find to hone their skills; we are glad that the SSO can be one of these invaluable resources for them. Education Concert can be considered the first ever project to popularize classical music among pupils and students. Is that your plan to rejuvenate and broaden SSO’s audiences? Olivier Ochanine: Audience building is more than just playing music that the public wants to hear. That is just entertainment. Our goal is to enrich people’s lives through music and expose them to the spirituality that exists between the notes. It all begins with education. The more one begins to understand the human emotion behind a musical gesture, the closer one gets to understanding one’s own humanity. By exposing this magic to young audiences and to the broader symphonic audience in general, the world suddenly becomes a nicer place to live. It’s magical, and it makes what we do at the SSO so much more meaningful and inspiring to us. Can you disclose something about the next plan for education concerts? Olivier Ochanine: As we continue our journey through music we look to explore other instruments, feature new Vietnamese talent and introduce our audiences to repertoire they may or may not be familiar with. We are also exploring the option of possibly going to some schools, bringing some SSO musicians to do some musical demonstrations and educational sessions. After the success of the three education concerts, does SSO have any plan to educate the young talents, if they want to continue performing with SSO? 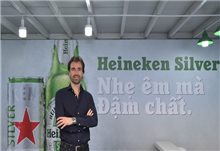 Olivier Ochanine: The SSO is just one part of the Vietnamese cultural scene. 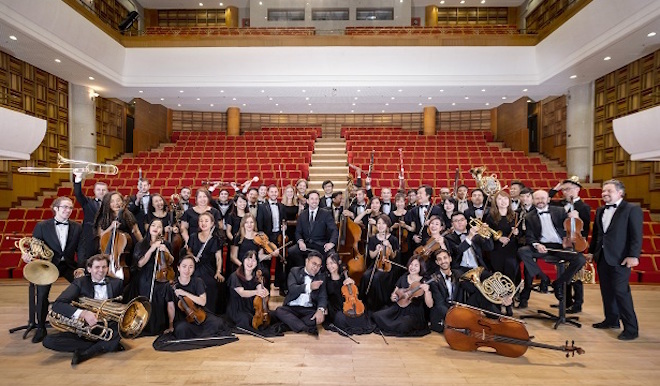 We hope that by bringing a world-class symphony orchestra to Hanoi we will inspire members of the community to enrich their lives through music and for Vietnamese to invest in the next generation of homegrown musicians.